For the first time this year, foreign national leaders took part in the Immortal Regiment March alongside Russian President Vladimir Putin. 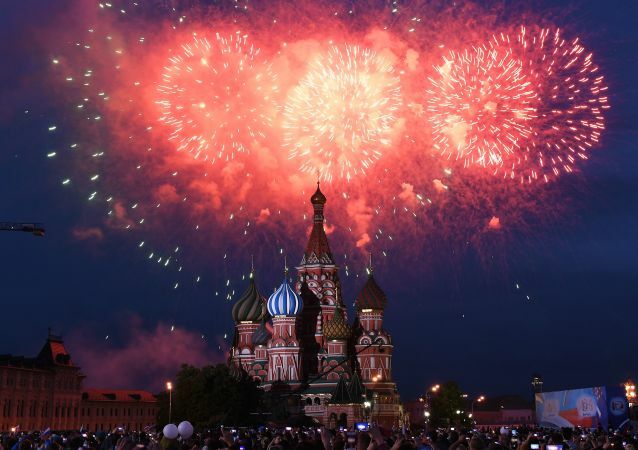 Fireworks filled the sky following Russia’s Victory Day Parade held in Moscow’s Red Square, where thousands of troops and 100 state-of-the-art military vehicles marched to celebrate the defeat of Nazi Germany. This year marks the 73rd anniversary of the Soviet victory over Nazism in the Great Patriotic War (1941-1945). In a massive military parade, 13,000 servicemen marched through the Red Square in Moscow along with 159 vehicles and 75 aircraft. May 9 marks the anniversary of the Soviet victory in the Great Patriotic War (1941-1945) against Nazi Germany during World War II. 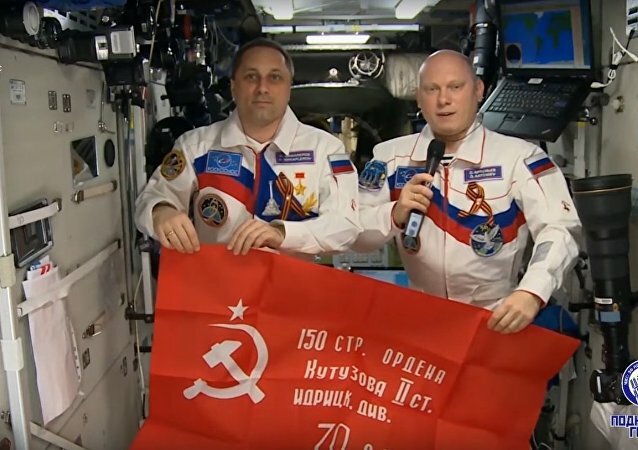 While Russians witness magnificent parades throughout the country, Russian cosmonauts congratulate people from the International Space Station (ISS). A march in commemoration of World War II veterans, heroes and all those who fought against Nazi Germany kicked off on May 9 in the center of London. Hundreds gathered to take part in the Immortal Regiment parade, carrying photographs of relatives and friends who have fought and lost lives to end the war. 265 meters of paving stones; 116 steps per minute; 70 centimeters per step. The arithmetic behind the annual military parade dedicated to the Soviet and Allied victory against Nazi Germany has been consistent for decades now. Still, each year has seen the introduction of something new. Sputnik looks back at the most memorable parades since 1945. 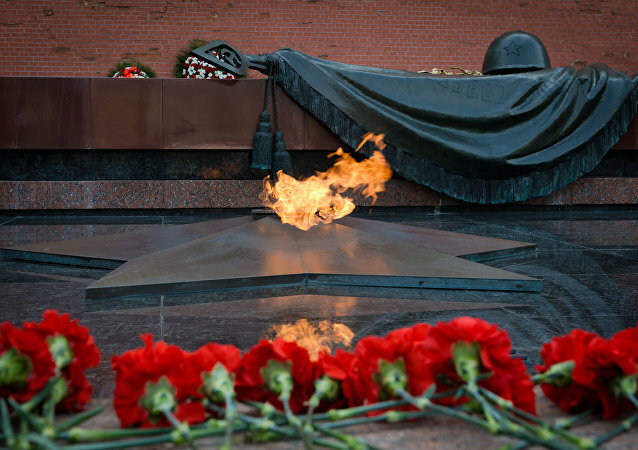 The memorial was erected to honor the heroism of Soviet soldiers killed during the Great Patriotic War. As Moscow prepares for its most important annual event, here are some interesting facts you should know about the Victory Day Parade. Known as VE Day, May 8 marks the victory day in Europe when in 1945 the army forces of Nazi Germany surrendered to the Allies of World War II. Among the British veterans are the members of the Arctic convoys that sailed from the UK to the Soviet Union, united in the effort to end the war. WASHINGTON (Sputnik) - The Immortal Regiment march, marking the 73rd anniversary of the end of the World War II, was held in Washington on Saturday. The Victory Day Parade rehearsal at the Alabino training ground near Moscow has gathered the biggest number of servicemen ever. Political historian Stephen F. Cohen has said he finds it absurd that while Russia celebrates 72 years since the Soviet victory over fascism, Russophobes in the US establishment continue to fuel conflict and fantasize about the Kremlin’s malicious plans of conquest over the West. Protests, sports events and Victory Day celebrations around the world - check out this week's notable events in Sputnik's photo gallery. Ukrainian Prime Minister Volodymyr Groysman demanded Thursday for a comprehensive investigation into the clashes, which occurred amid Tuesday's Victory Day celebrations in the Ukrainian city of Dnipro and the punishment of all individuals found guilty in the incident. Syrians gathered to celebrate Russian Victory Day at the University al-Baath in Homs on Tuesday, May 9. 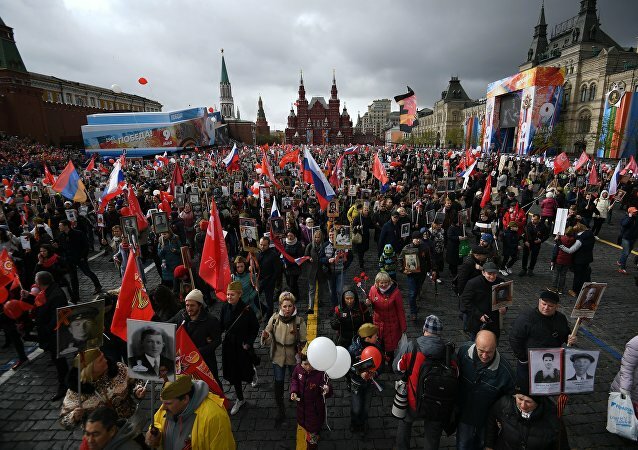 The "Immortal Regiment" commemorative march is a popular enough event that does not require extra organizational efforts on the part of authorities, Kremlin spokesman Dmitry Peskov said Wednesday commenting on claims that schoolchildren were forced to participate in Tuesday's march. An international human rights non-governmental organization spoke out against the detentions made by the Ukrainian police during the Victory Day celebrations over Communist-related symbols. Around 100,000 people took part in commemorative events marking Victory Day in the Latvian capital, which is one and a half times fewer attendees than the previous year, the police said on Wednesday. 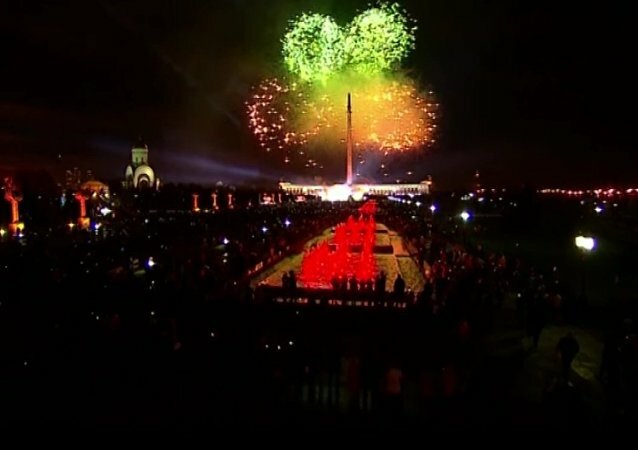 Victory Day celebrations in Moscow ended with a spectacular fireworks show late on May 9. The commemoration march, dubbed "Immortal Regiment," gathered approximately 2,000 people carrying portraits of their relatives, who participated in World War II, in Estonia’s capital Tuesday.